January 16, 2015 December 22, 2015 / Julie Brook, Esq. Regardless of whether a job applicant has an apparent disability, employers should always follow these 10 steps to reduce the risk of liability for running afoul of the anti-discrimination provisions of the ADA or the FEHA. Both the Americans with Disabilities Act and the Fair Employment and Housing Act prohibit discrimination based on a job applicant’s disability. See 42 USC §12112; Govt C §§12926(k), (q), 12940(a), (d). 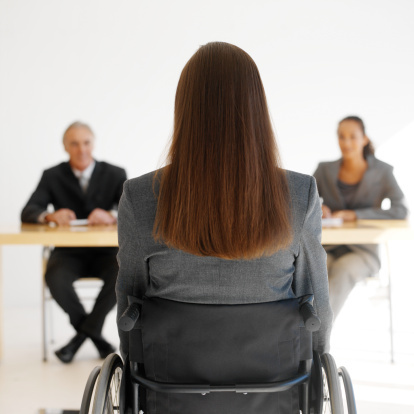 Employers should be cautioned to never assume they know whether a job applicant has a disability. Make reasonable accommodations in the application and interview process. For example, allow blind applicants to submit application information orally, make a sign interpreter available for a deaf person, make pre-employment tests available in alternative forms, hold interviews at fully accessible locations. If an applicant with a disability requests a reasonable accommodation in the application process, engage in a timely, good-faith interactive process with the applicant to determine an effective reasonable accommodation, if any exist. Govt C §12940(n). Refer to a written job description. Use a written job description to formulate specific, job-related interview questions for all applicants. The Equal Employment Opportunity Commission (EEOC) allows an employer to attach a written job description to the application form, which may then ask: “Are you able to perform these tasks with or without an accommodation?” and “If so, with an accommodation, how would you perform the tasks, and with what accommodation?” See EEOC Technical Assistance Manual §5.5(d), p V-9. Ask about needed accommodations. When the applicant discloses a disability, ask what accommodations he or she knows of that could overcome any disability-related barriers that are related to job functions. Determine available accommodations. An applicant’s lack of knowledge of what accommodations are available, or may be necessary, doesn’t relieve employers of responsibility for determining available accommodations. Contact disability constituent organizations or rehabilitation agencies for information or consultation and build a file of resource information. Assess potential accommodations. Once you’ve identified potential accommodations, assess the effectiveness of each of them in assisting the applicant to perform effectively. Consider which one(s) the applicant prefers (and why), and whether certain accommodations will be more effective. Determine whether the accommodation is reasonable. The employer has the burden of proving that a specific accommodation would create an undue hardship. See Govt C §12940(m). Usually, proof turns on the employer’s size, the cost of the accommodation, the effect of the accommodation on other employees, and the effect on operations. See generally Govt C §12926(t). If the accommodations are reasonable, determine whether the applicant is otherwise qualified. Employers don’t need to make an accommodation for a person who’s not “otherwise qualified,” i.e., who doesn’t satisfy all the skill, experience, education, and other job-related selection criteria of the employment position that the person desires. See 29 USC §1630.2(m). Select the best qualified applicant. Make sure that the subjective or intangible considerations that affect the decision aren’t tainted in any way by an applicant’s disability or the need for reasonable accommodation. Document selection decisions. Keep records showing compliance with the above steps. 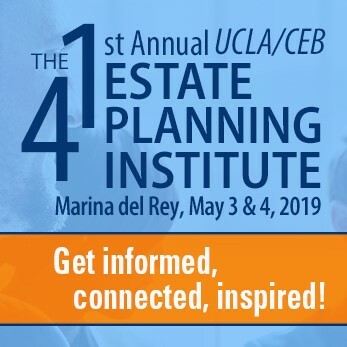 Get more practical advice to give your clients on hiring, including guidelines and pitfalls, in CEB’s Advising California Employers and Employees, chapter 1. ← Should You Make an In Limine Motion?